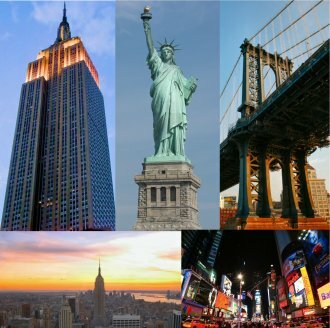 The Next Stage: Women and Retirement: New York City: The New American Heartland! Over dinner, I happened to use the term heartland as shorthand for white, small town, Christian America and Rick said, “I think you’re sitting in the heartland.” He may be on to something here. Walking down the streets of Manhattan (especially lower Manhattan) you see in what sometimes appears to be roughly equal numbers, the descendents of Africa, Asia, Europe, and Latin America. And a casual glance at the street scene confirms that so many of the children of recent immigrants (with their unaccented English, their dress, their friends and partners) are clearly part of our ever-evolving American culture. I always feel a little more alive when I’m in NYC and the cultural mix is a major part of the reason for that "center of the universe" feeling I always get in Manhattan. When my husband and I retired, we planned to get to NYC more frequently but we haven’t done it nearly as much as we intended. We’ve resolved to change that. Rick has always thought of himself as a New Yorker in spirit and we always spend his birthday in NYC. We’ve tended to avoid the city in July and August and wouldn’t have come this August except for the Blogher conference. But I’m beginning to rethink that. The NYC street scene in August has its charms; people move a lot more slowly and seem more relaxed. Not only do I love the cultural diversity of NYC, I love the relative lack of age segregation. You see so many really old people in their late 70’s, 80’s, even 90’s out and about in on the streets of Manhattan. They’re at the museums, the theaters and restaurants. This has a lot to do with NYC’s public transportation—plentiful taxi’s and accessible buses. A good friend told me her 89 year old mother who just had a hip replacement goes all over the city by bus. For older people who can afford to live there, NYC is a great place to grow old. I never noticed this when I was a young woman coming to NYC for all the excitement Philly could not offer, but as a retiree in her sixties I sure notice it now. I find it especially gratifying to see women in their late 70’s, 80’s going to the theater alone and enjoying every minute. Sure, it’s much more fun to go to the theater with a friend, a partner. But for people who live alone, it might not always be possible to find someone who wants to see a particular play or be available for an impulse theater trip. An elderly theater lover can probably easily find a friend who wants to see West Side Story or South Pacific, but it’s not so easy to find someone who might be interested in seeing an off-Broadway production like In God’s Hat described as a “noirish tale of loutish people.” So there she was, the elderly women in the front row having a great time at the theater by herself. We’ve been going to more off-Broadway shows of late and it’s not just because of the ticket prices. There is so much theatrical talent in NYC and much of it is found off-Broadway The acting in In God’s Hat was astonishingly good. I think somehow it will live beyond its 4 week run at United Stages. If you like seriously good theater at relatively low prices get on the mailing list for United Stages or for the Atlantic Theater. We’ve seen some fantastic productions of interesting, albeit flawed, plays at the Atlantic. There are far more good productions than there are good plays. But for me there’s nothing like the excitement of live theater and an interesting play that doesn’t quite work can still be a wonderful theatrical experience—and can lead to really great post theater conversations. This is the main problem with going to the theater alone, but I bet the woman in the front row went home and engaged in the online discussions of the play. So many ways to connect now. Anyway Rick and I are determined to make more frequent trips to the new heartland! I agree, Karen, NYC in the summer is a joy. It's really "America" and as long sa you keep moving and don't block the sidewalk it's as friendly as downtown Indianapolis. Ashleigh, NYC is now a year round destination for me—except for that week between Christmas and New Year’s. The crush of people is overwhelming that week.